DIRECTOR: LIC. JOSÉ ALFONSO LOZANO POVEDA. NOTIFICACIONES DEL TRIBUNAL SUPERIOR DE JUSTICIA. 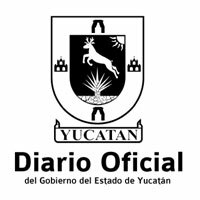 NOTIFICACIONES DEL JUZGADO PRIMERO MERCANTIL. NOTIFICACIONES DEL JUZGADO SEGUNDO MERCANTIL. NOTIFICACIONES DEL JUZGADO TERCERO MERCANTIL. NOTIFICACIONES DEL JUZGADO PRIMERO DE ORALIDAD MERCANTIL. NOTIFICACIONES DEL JUZGADO PRIMERO CIVIL. NOTIFICACIONES DEL JUZGADO SEGUNDO CIVIL. NOTIFICACIONES DEL JUZGADO TERCERO CIVIL. NOTIFICACIONES DEL JUZGADO PRIMERO DE LO FAMILIAR. NOTIFICACIONES DEL JUZGADO PRIMERO DE ORALIDAD FAMILIAR. NOTIFICACIONES DEL JUZGADO SEGUNDO DE ORALIDAD FAMILIAR. NOTIFICACIONES DEL JUZGADO CUARTO DE ORALIDAD FAMILIAR. NOTIFICACIONES DEL JUZGADO QUINTO DE ORALIDAD FAMILIAR. NOTIFICACIONES DEL JUZGADO SEXTO EN MATERIA DE ORALIDAD FAMILIAR. NOTIFICACIONES DEL JUZGADO SÉPTIMO DE ORALIDAD FAMILIAR. NOTIFICACIONES DEL JUZGADO PRIMERO MIXTO DE LO CIVIL Y FAMILIAR DEL PRIMER DEPARTAMENTO JUDICIAL DEL ESTADO. NOTIFICACIONES DEL JUZGADO SEGUNDO MIXTO DE LO CIVIL Y FAMILIAR DEL PRIMER DEPARTAMENTO JUDICIAL DEL ESTADO. NOTIFICACIONES DEL JUZGADO TERCERO MIXTO DE LO CIVIL Y FAMILIAR DEL PRIMER DEPARTAMENTO JUDICIAL DEL ESTADO. NOTIFICACIONES DEL JUZGADO CUARTO MIXTO DE LO CIVIL Y FAMILIAR DEL PRIMER DEPARTAMENTO JUDICIAL DEL ESTADO. NOTIFICACIONES DEL JUZGADO QUINTO MIXTO DE LO CIVIL Y FAMILIAR DEL PRIMER DEPARTAMENTO JUDICIAL DEL ESTADO. NOTIFICACIONES DEL JUZGADO PRIMERO MIXTO DE LO CIVIL Y FAMILIAR DEL SEGUNDO DEPARTAMENTO JUDICIAL DEL ESTADO. NOTIFICACIONES DEL JUZGADO PRIMERO MIXTO DE LO CIVIL Y FAMILIAR DEL TERCER DEPARTAMENTO JUDICIAL DEL ESTADO. SE EXPIDE PATENTE DE NOTARIO PÚBLICO, A FAVOR DE GEORGINA DÍAZ YZA.